Latest post on my Handy IoT Toolkit is released! I’ve started to update my IoT Toolkit blog post series. You can get the latest post from here, which gives you some ideas on communication for your virtual blended team, and some pointers towards handy Visio stencils that might help. You can also navigate my other IoT posts by going to the IoT Toolkit menu that I’m trying to keep updated. I organised an AzureCon viewing party tonight in Hertfordshire, with great team support from Team Awesome over at Cloudamour. We watched a total of four keynotes, running back to back for almost four hours. The keynotes were all awesome and I’ve blogged some learnings here. First up, was Scott Guthrie (t), igniting the keynotes and kicking off the event with the journey to the intelligent cloud. I missed some of this piece because I was welcoming guests as they arrived, making introductions and so on. If you want to see the video, you can catch Scott Guthrie here on Channel 9. The thrust of Scott’s session was about cloud energising business and technical leaders worldwide turn the digital disruption into their advantage. Scott led customers who used cloud to enable their business to break new ground, and share their best practices in using some of the latest Microsoft innovations in enabling their journey to the cloud. My personal favourite part of this piece was seeing the inspirational Lara Rubbelke (t) up on stage. Lara is inspirational and she’s generous with her time, supporting SQLFamily members. Lara explained the SQL Data Warehouse very clearly in terms of its simplicity to set up, and it’s relevance to the business. I liked her piece because she talked tech and business equally and that’s hard. It’s something I find that I have to do in my role every day; basically, wearing different hats, and it’s not easy to accomplish. Lara achieves this with ease and I recommend that you watch her segment, which is about 32 minutes into the video She also makes you think about how this could be relevant in your environment and that is an important takeaway. In Lara’s words, using the technology is a ‘zero risk’ decision which allows you to scale up, scale down as you need. We don’t need to move our data, it just works, thereby offering immediate ROI, visualised in PowerBI. 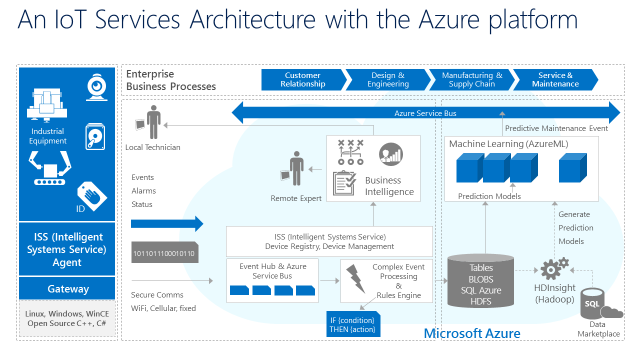 businesses using Azure as a base for apps. Since apps are so personal and based around customers’ experience, they can help accelerate their business transformation and driving rapid results which are customer-centric. Bill had some pretty interesting case studies and you can find them over on his keynote session, which is over at Channel 9. Rockwell use it to manage gas dispensers. Ford are embedding IoT sensors in their cars, going forward. ThyssenKrup – leading elevator manufacturer. Track the health of their elevators’ health, around the globe. Optimise the service experience before it breaks down. They have the ability to optimise their service experience in predicting failure before the elevator breaks down. Now, that’s predictive analytics in action, using Azure as a base! The session then moved to IoT in a box! 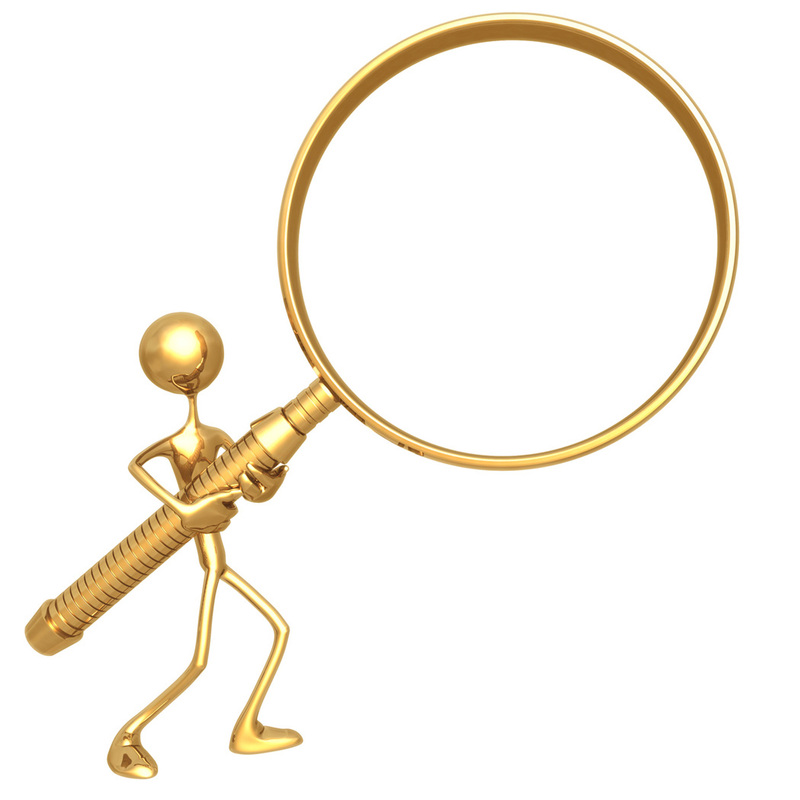 What type of customers are looking at it, and what do they need? Its easy to submit a job, and there is even a slider for parallelism! We can slide up to 1000 levels of parallelism. Ranga asked people to submit a name. I like ‘Pixie Dust Slider’ because it’s sprinkling magic on your data, but I don’t think Microsoft marketing would ever go for that! One of our columns is a JSON object, but with data lake, we can take a function to extract out that column and work with it. The different jobs are broken down. 24 azure regions, more than Google and AWS combined. 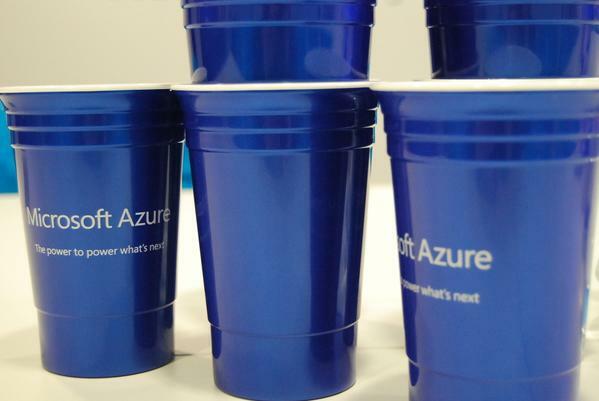 Welcome India #Azure data centers! Enough fibre to wrap around the globe, 56 times. ExpressRoute – for Azure. Speeds of up to 10 Gigabits per second. 21 ExpressRoute locations worldwide, including London. Then, it was time for home. It was agreed that the party guests would love to hear more Azure information and they are really keen for another group meeting. I’ll be looking to the community to support our growing group with speakers, so watch this space as we grow more #AzureFamily fans here in the UK. And here is a picture of the youngest Azure fan, who likes it because Halo runs on it….. In this series, I’m writing a bunch of very practical posts on helping you through an IoT project. There are plenty of other posts about the ‘why’ and the marketing buzz, but this is about the ‘do’. How can this help you to start on your IoT project? Well, if you are starting out on IoT and Azure, then the first thing you’ll need are some handy free Azure credits. Now, if you have an MSDN subscription, then you will also have free Azure credits. Did you know that you can get free credits as part of your Microsoft Partner Action Pack subscription as well? Members of the Microsoft Action Pack program receive monthly credits of £65 of Azure at no charge, and the terms and conditions can be found here. In practice, these means that you can set up two subscriptions for your Azure account; one for MSDN, and the other for your Microsoft Partner Azure credits. Microsoft Office 365—either five seats Office on-premises and five Microsoft Office 365, or 10 seats Office on-premises. You can earn more seats of Office 365 after an additional cloud sale. Microsoft Dynamics CRM—no Microsoft Dynamics CRM Online licenses are granted at the subscription point. These licenses are granted after you close one Microsoft Dynamics CRM Online deal or at least 50 seats of Office 365 in the previous 12 months. If you have taken on new team members to do an AzureML project, then you are going to need Office software such as Excel, in order to view data. If people are choosing a career in AzureML, then you can make a safe bet that these team members will want to use the latest and greatest technology. This means that giving them Excel 2007, for example, isn’t going to work. Happy team members produce better results, and it’s important to empower them with the tools that they need, and *want*, to do the a job that they are proud of doing. If you have Office365, then you can hook up your data nicely so that you can see and share it in Power BI. Make sure to look at your benefits, and you’ll see the Azure subscription credits and your Office365 licence keys. To do this, go to Resources, and then look for ‘Access my software and cloud benefits’. Using my Partner Azure credits, and my MSDN credits means that I have two separate subscriptions for paying for Azure. In my case, I have a subscription for my own Virtual Machines for development, and then a different Subscription for my Proof of Concept work and the portfolio I’m building for demonstrations. It helps me to keep an eye on how much credit I’m “spending” on development work on Azure VMs for development work. At the moment, I have a few physical servers which I *used* to use for development, but I like the portability of having everything in the cloud. It will mean I don’t have to lug my heavy Dell mobile workstation around with me. For demonstrations, I can video my demos in advance in case I can’t access the cloud for some reason. If I find I’m incurring a lot of Azure credits and paying money, then I need to decide whether to purchase another physical machine, or stick with Azure. So far, Azure is winning on cost, and on factors such as performance and reliability, and ease of use. Running a small business and being on the PASS Board mean that I’m incredibly busy, and I need to be careful how I spend my time and effort. As you can understand, doing a lot of tech support may not be the best use of my time – even though I do enjoy it! Now, you’re ready to move to the next step! There are a range of choices for architecting an IoT project, and I will talk about some of these issues in my next blog post. As some of you know, I’m part of an Internet of Things project (IoT). IoT is the latest buzzword, but honestly, in my opinion, it is all just data. The data may have a different velocity, and it may be fired at you in different shapes. A lot of the problems are still the same; how to store it, how to clean it, how to interpret it and analyse it. The added complexity for me in IoT, from the perspective of a Business Intelligence specialist, is that I am not familiar with devices or any of the communication stacks for transferring data. I am learning very fast, and I’m glad to say that I’m surrounded by a great team who explain the details very clearly. I am learning about all sorts, from the details of electrical engineering through to protocols. I am enjoying the challenge. I have learned a lot, and I’ll try to share through my blog as the journey progresses. In the meantime, I thought I’d share some of the tools and IP that I’ve been garnering as I go along this journey. This page is likely to be updated as we go along, so please keep checking back. Please note that I am not affiliated with any of these vendors in any way, and if you find other tools, please do share them with me. I find that the interface is clean and crisp, and I can navigate it easily. I don’t have to think about using the technology, to get it to do what I want. In an IoT project, particularly during the research phase, you’re not really sure how much data is being emitted. It may be more or less than predicted. With the Azure Management Studio, I can keep an eye on my storage – and therefore my costs. With any project which involves early adoption of new technology, it’s important that key stakeholders are reassured about the performance and reliability of the technology. The Azure Management Studio has a series of dashboards, and this helps me to tell the story of Azure to key stakeholders. I prefer to use Microsoft Project to manage projects. I have built a default IoT Project Plan using Microsoft Project, and I tailor it for each project that I’m involved in. I use Project Online with Office365 because I like having everything in one place, and it is easy to share it. I use Excel to list out tasks for people who don’t have Project, or don’t know how to use it. If people are interested, I can share the files. If you don’t have access to Microsoft Project, then I recommend Zoho Projects. Quite frankly it’s an undiscovered gem. It’s free for one project, or you can pay $20 per month for 20 projects. This is cloud software at it’s best; functional, cheap, flexible and pay as you go. At that price, you’d be crazy not to try at least the free version. I also use Trello and Wunderlist to manage tasks: I use Trello because the other team members seem to like it. I use Wunderlist more as a brain dumping ground, and I don’t share that with anyone. I also like JIRA to log bugs, workflows and so on. I’ve been using the online version for years, and there is really no substitute for it. If you’re thinking of starting an IoT project, or want to know more, then please email us at IoT@DataRelish.com and I will see if I can help you, or I can perhaps put you in touch with other people who can help.